Transitioning a loved one to an assisted living facility can be a really emotional time for your entire family. Indeed, it is a tough decision—but one that is made easier by thorough research. Take your time in comparing prospective assisted living facilities in terms of their amenities, level of service, price, and other factors. Visit them yourself so you can see firsthand how they run things. And if your loved one has a specific condition that requires special care—such as Alzheimer’s or dementia—be sure to choose an assisted living facility that specializes in it. Moving your loved one in a nursing home does not mean that you are putting him or her in prison. 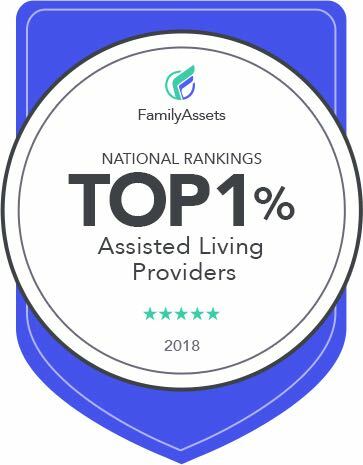 Assisted living facilities and communities have greatly improved over the years, and the most reputable ones in San Antonio TX compassionately take care of residents as if they were their own family. There are facilities that offer daily activities that will engage their residents’ minds, bodies, and spirits. Some of the best ones also provide therapeutic programs that can address all the stages of Alzheimer’s or dementia, as well as the behavioral issues that come with them. You may be worried that assisted living facilities will isolate your loved one from other people. There is no need to be scared of justify, since these facilities can ensure that their residents are always well-socialized. Aside from leisure programs, specialized social programming is also provided. If your loved is already battling memory problems, it will be best to move him/her into a memory care facility that seeks to assist patients who are suffering from dementia and memory loss. Memory care facilities are not like regular assisted living and healthcare facilities because they are more secure and are designed to keep the residents from wandering. Their premises are designed to help residents live independently as much as possible. Look for one that has experienced staff who can recognize different stages of dementia or Alzheimer’s to ensure that your loved one will get personalized care. It can be a difficult decision, but moving your loved one in an assisted living facility may be the best way to make sure that he/she is safe and cared for. You can visit him/her anytime you wish—and that’s always good to know.